Volunteer PEI has invested considerable time into making its website accessible, understandable and easy-to-use. The website was built using WordPress, which is one of the most popular and versatile tools available for website design and development. However, we recognize that what works for one site visitor might not work for the next. 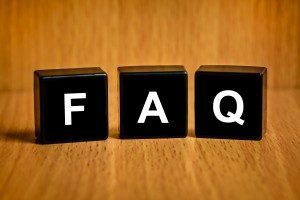 Therefore, we have pulled together some of the most frequently asked questions. As our site continues to grow, we will revisit these questions and make updates when necessary. No. We simply put potential volunteers in contact with nonprofit organizations. It is the responsibility of nonprofits to screen all volunteers. You can directly navigate to our sign-in page at http://volunteerpei.ca/sign-in. Can I ask to have additional site features? You sure can. We have a Feature Request form that all users can use. The more information you provide in this form, the better chance that we will be able to implement it. All requests will be reviewed by our web design and development team to determine feasibility and applicability. How can I report a bug with the website? Although we have tried very hard to squash all the website bugs, it is quite likely that we have missed a few along the way. Should you notice any bugs during your journey through http://volunteerpei.ca, we ask that you please fill out our Bug Report form. This will notify the site admin, and it will be actioned. This is a group effort, and we appreciate all your help and understanding! I want to volunteer. What should I do? Browse our list of volunteer opportunities and use the various filters that exist to hone your search (e.g., keyword, organization type, category type). When you find an opportunity you are interested in, use the contact form on the individual posting’s page to reach the organization which posted the position directly. Contact information is listed at right side of each posting. It may look different depending on your platform (desktop computer vs. mobile). I do not see any volunteer opportunity that interests me. What should I do? You should check our list of volunteer opportunities often – as we continue to grow, we expect that more nonprofit organizations will sign up and post their volunteer needs (i.e. more volunteer opportunities). Another option is to become more involved with Volunteer PEI‘s online community by engaging with us on Facebook, Google+, Twitter. Is it free to search for volunteer opportunities? I want to volunteer. Do I have to register? No, it is not required. If you are interested in volunteering (but do not want to register), then you simply use the contact form found on specific volunteer opportunity pages. This will put you in direct contact with the organization. Be notified about various new opportunity postings based on your interests. Can I edit my volunteer/organization profile? How do I add my nonprofit organization? If you haven’t already done so, then use the Nonprofit Organization Registration Tool. The tool will collect a variety of information about your organization, including contact information, location, organization type, etc. Once registered, you will have access to your profile, the ability to add volunteer opportunities and allow Volunteer PEI to notify volunteers in our pool about your new postings! How do I delete/remove my volunteer opportunity postings? Find and click on the volunteer opportunity you want to remove in the “Edit Volunteer Postings” section of your profile. This will bring you to the form you used when you first added the opportunity. Navigate to the end of the form and click the “Delete Volunteer Opportunity” button. If you have trouble removing/deleting a post, then please contact us. My old man says when it’s time to be counted, the important thing is to be man enough to stand up.